2. Which is a spiritually better portrait to hang on the wall? Staring at a blank canvas before starting a portrait can be a nerve-racking and self-doubt-ridden experience for a painter. To match the possibilities and potential of the blank canvas, and the demands and expectations of that first brush stroke towards capturing a human face on canvas can be quite daunting. This is because along with just painting the person’s physical likeness, a painter has the onerous task of capturing the multi-dimensional nature of a human personality into a two-dimensional work of art. It is about capturing nuances such as the warmth in the subject’s eyes; the sincerity in his smile and the ever so minutely raised eyebrows and his unique quizzical expression that brings a subject’s personality to life. In some cases, portraits can take a day, but the good ones are a labour of love that can take hundreds of hours to complete. When it is all done and dusted, the portrait will be critiqued or appreciated as to whether the painter was able to capture the essence of the subject’s personality. As the eighteenth century art theorist Roger de Piles stated, a portrait captures “not only the physical traits of [the subject’s] body, but also the emotional traits of their soul.” It is this extra dimension to portraits that have made them the subject of an enduring fascination for artists and art lovers. However, is Roger de Piles’ assessment of what it takes to make the quintessential portrait correct? Most art schools and art studies would more or less agree. Virtually all studies of portraits currently focus on just the physical and psychological impacts of portraits. The spiritual vibrations of portraits are never considered when evaluating them. Up until the early twentieth century, portraits were mostly hand drawn. 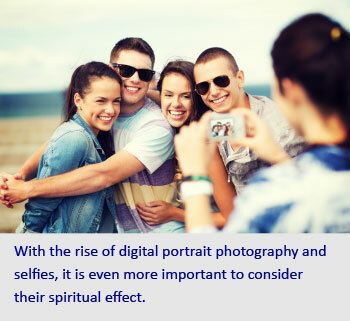 Now, with the rise of digital photography and smartphones, the field of making portraits has mushroomed rapidly. There are more portraits taken than ever before, with most of them being digital. The popularity of the selfie is a clear indication of this. With this explosion in the number of portraits, considering their spiritual impact becomes even more important. Historically, portraits were not always judged on their physical and psychological aspects. In ancient India, spiritual factors were the main criteria in evaluating portraits and other forms of art. The aim of drawing a portrait was that it should increase the spiritual positivity in society. 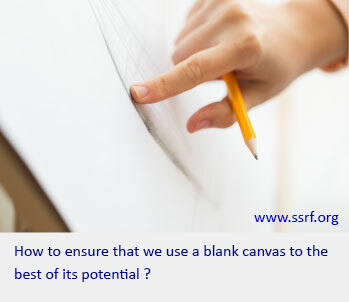 SSRF and the Maharshi Adhyatma Vishwavidyalay (Maharshi University of Spirituality or MAV) saw this lacuna in the field of art and sought to study and discover the spiritual aspects of art. 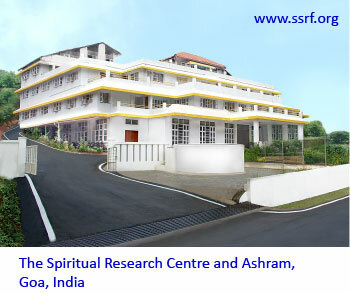 SSRF and MAV have over 20 years of research experience in studying the spiritual vibrations of art, and these vibrations are studied in detail by seekers with an advanced level of sixth sense. One such study examining the spiritual vibrations emitted by two portraits is presented below. Two portraits were chosen for this experiment. The first one needs no introduction as it is the world-renowned Mona Lisa. The other was a portrait of a Saint, Her Holiness Anjali Gadgil. This second portrait was painted by a seeker-artist, Mr V.T. Kale. The objective of the experiment was to study the spiritual vibrations emitted by these two portraits. Polycontrast Interference Photography (PIP) was used for this experiment. Below are the corresponding PIP pictures of each of the portraits given above. They have been compared to a baseline reading of the environment where the experiment (using PIP) was conducted. The baseline reading was taken of an empty room with a table where the various pictures were placed one by one. It can be observed that the colours in each of the PIP pictures are different, signifying a different proportion of positive and negative subtle-vibrations. The total area of positive versus negative colours from each of the above PIP pictures was measured and compared. 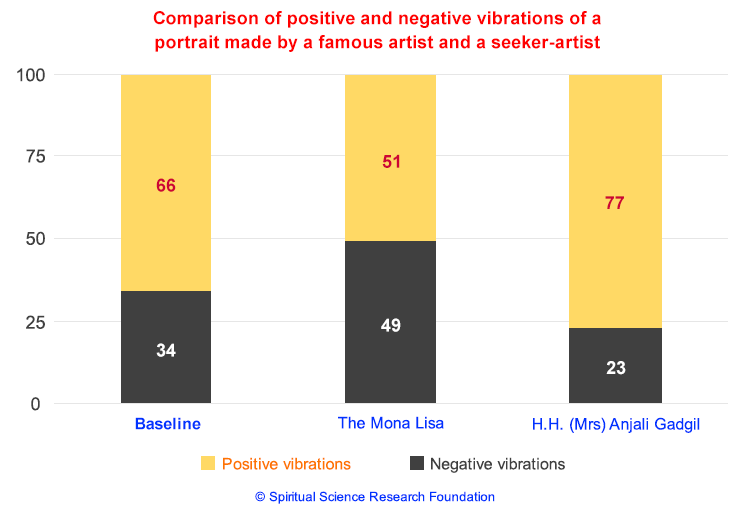 The ‘stacked column chart’ below shows the proportion of positive and negative vibrations seen in each PIP picture. 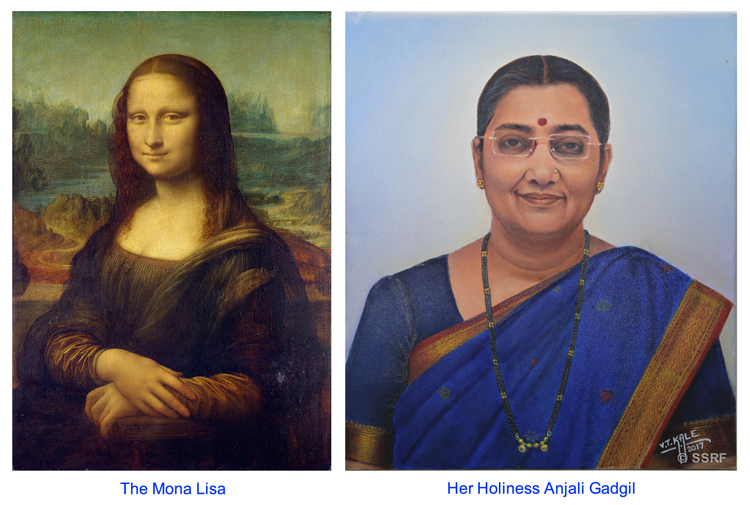 The PIP reading of the portrait of Her Holiness (Mrs) Anjali Gadgil is 50% more positive as compared to the Mona Lisa. The picture of the Mona Lisa was observed to emit negative vibrations, and this was verified both by PIP and through an advanced level of sixth sense. In fact, the Mona Lisa increased the negativity in the environment when compared with the baseline reading of an empty room. The colours (e.g. silver) seen in the PIP picture of the painting of Her Holiness (Mrs) Anjali Gadgil indicate positivity of a higher level. The results above show that the Mona Lisa actually brought down the positivity in the PIP room while increasing the negativity. This means it is better to have an empty room than to have the Mona Lisa hanging up on the wall. Saints, on the other hand, have tremendous positive energy associated with them. By painting a lifelike portrait of a Saint, the Saint’s positivity emanates from the painting, thus benefiting the entire environment. It is important to note that there is no spiritual benefit when painting a portrait of a person who claims to be a spiritual guide but is not (a fake Saint). SSRF and MAV have also looked into the spiritual science underlying making portraits in detail. 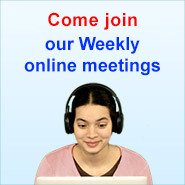 This spiritual science would be of interest to the art community. Portraits that emit negative vibrations : People acquire portraits for a variety of reasons, including aesthetic appeal, prestige, collector’s value, etc. When one hangs any portrait on a wall, it will emit either positive or negative vibrations. Though an average person may not understand this, the effect is nevertheless there. For example, if one drinks water contaminated with typhoid bacteria, they may not immediately understand the adverse effect it has on them, but once they contract typhoid, they will understand the adverse impact. Similarly, to avoid the adverse effects of paintings that emit spiritually negative vibrations, it is better to paint sāttvik (spiritually pure) subjects, for example, the portraits of Saints. The spiritual state of the artist and the subject also plays a key role in the spiritual purity of the portrait. For example, the seeker-artist who drew the portrait of H.H. Anjali Gadgil, did so with spiritual emotion (bhāv), so this positively impacted the spiritual purity of the painting. On the other hand, if an artist is not doing spiritual practice and is afflicted by negative energies, then a portrait drawn by the artist would be more likely to emit negative vibrations. 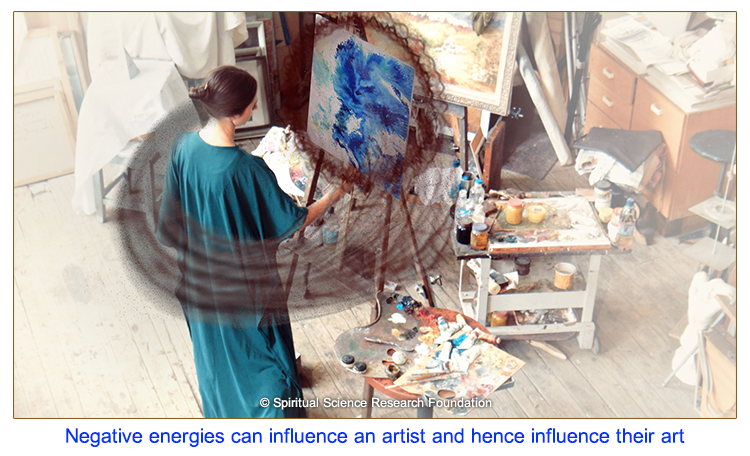 Influence of negative energies : One medium through which negative energies affect society is art. This is because art is something that has such widespread appeal and can influence large sections of society. Negative energies affect an artist and influence them so that they create artwork in a way so that it emits spiritually negative vibrations. In this way, they infuse works of art with black energy (spiritual energy that is used for negative purposes). The end result is that the work of art becomes a lifelong transmitter of black energy wherever it goes. Accuracy : Additionally, portraits should be drawn in a way so that they depict the subject as accurately as possible. Capturing the likeness of a person is one of the most challenging parts of drawing or painting a portrait. However, as per spiritual science, when a person’s likeness is achieved in a portrait, it accurately emits the vibrations of the subject. Often, artistic license is used while making portraits and the subject is depicted in a way that does not match their likeness closely. This can alter the vibrations emitted from the portrait, and when the subject is spiritually positive as in the case of a Saint, reduce the spiritual positivity emitted from it. Background : The background of the portrait also affects the overall sāttviktā (spiritual purity) of the portrait. It is important that background should not disturb or draw attention away from the subject and that it should enhance the spiritual purity of the portrait. Spiritually pure colours can be used in the background. 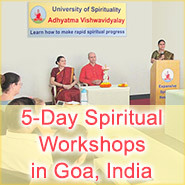 Due to Kaliyug (Current era of strife), the influence of negative energies is high. When darker colours are used, negative energies use them to affect the portrait and this can reduce the overall spiritual purity of the portrait. Black and white colour schemes are often used in portrait photography and other portraits like charcoal portraits to add an artistic touch. However, the higher proportion of darker colours and the sharp contrasts increase the negative vibrations emitted by them. Portraiture (the art of drawing another person) is intriguing as it is a genre of art which captures not only the physical likeness but more importantly the personality of the subject. The skill of an artist is his ability to layer the subject’s character through the rendition of facial expressions, the appearance of the eyes, the texture of the skin, the wrinkles, facial lines, etc. While most portraits are made considering these aspects, the subtle vibrations emitted from artwork are rarely considered. There are many portraits in the world which are aesthetically pleasant and command exorbitant prices but are detrimental from a spiritual point of view as they emit spiritually impure vibrations. For today’s artists, this is a whole new way of looking at the fine arts, but in reality, it is really about going back to the basics and abiding by the principles of art as taught by the Sages of ancient times. Thought leaders in art, art critics and the art community can be cognisant of this aspect when creating, curating or evaluating art. This is because there are only downsides in putting up art that emits negative subtle vibrations, however expensive the art may be. The ability to assess the spiritual vibrations emitted by a portrait can only be developed through regular spiritual practice. If artists begin regular spiritual practice, the ability to perceive spiritual vibrations will develop in them and they will be able to understand if portraits or other works of art created are spiritually positive.